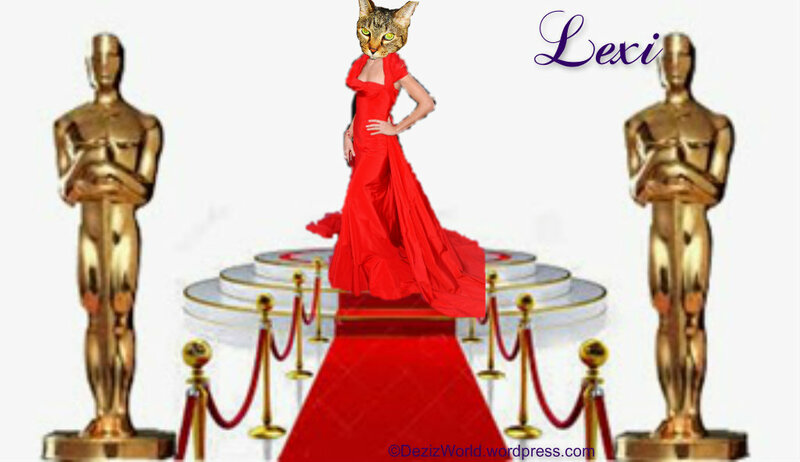 Lexi: Hay y'all weez heer. Lubbin' da red karpit. 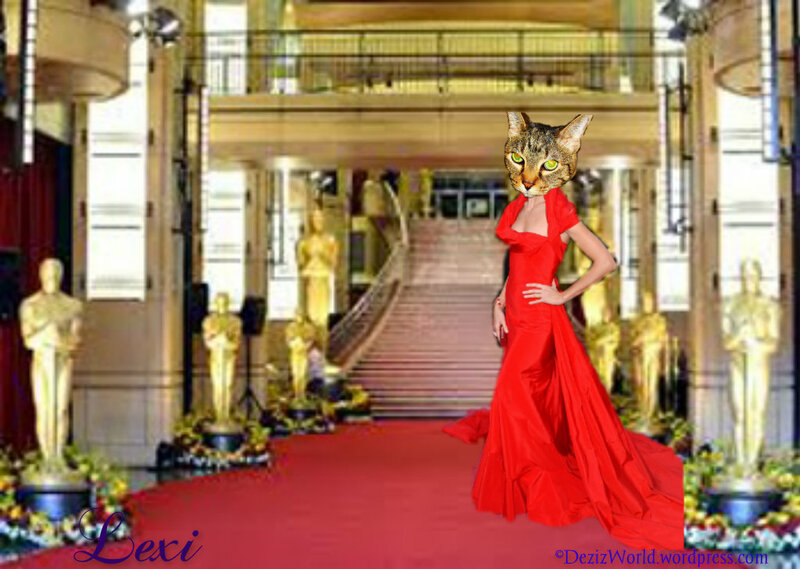 It beez fit fur kweenz and ov korz I'z beez da kween ov ow howz, and Dezi beez da purrinzess. 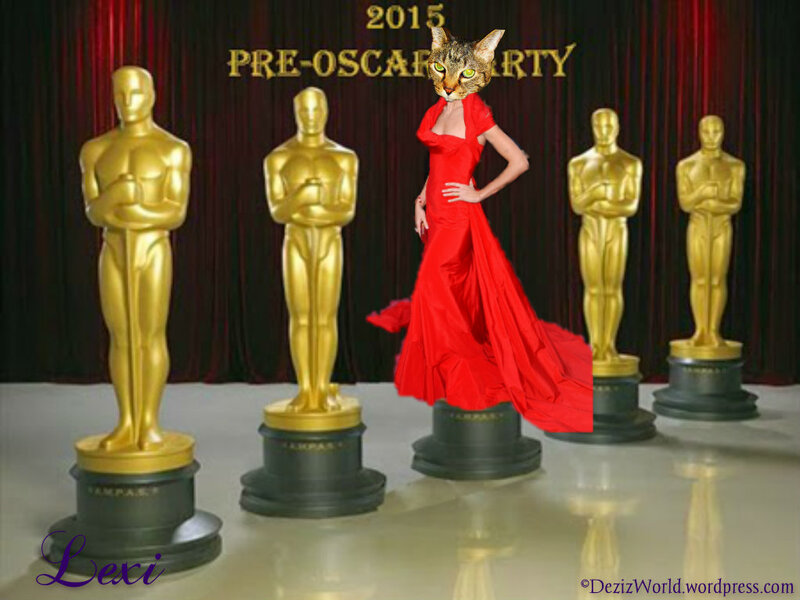 Diz beez a pawzum partee and weez soz glad weez kuld joyn in. Dezi: Oh sissy ain't this gweat? You look bootyful in youz gown. 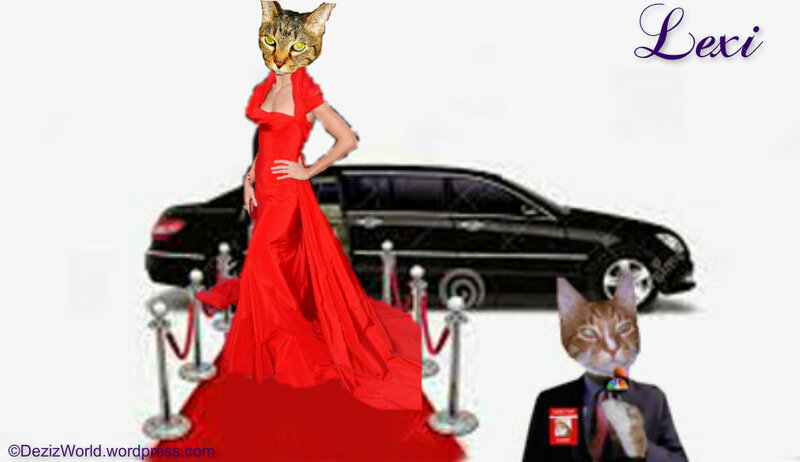 Fanks fur hostin' such a wunnewful pawty, weez so glad to be here. 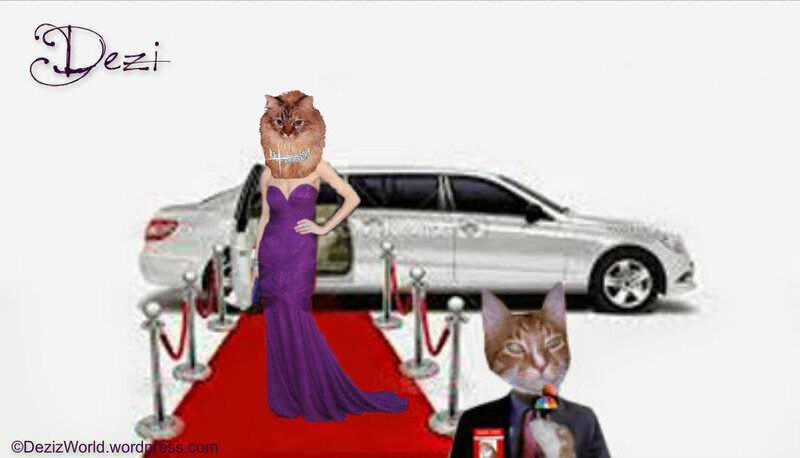 We don't know much 'bout this Oscar, but hey, any chance to get all spiffied up is alwight wiff us. Hav fun and till da nex time...............Be Blest!!! Oh My Catness you two look meowvelous! So glad to see you made the walk of fame. So many Tabby's Yay! 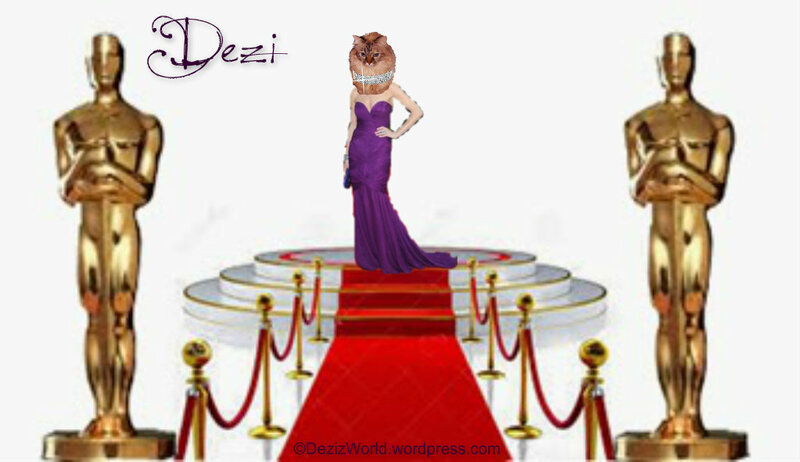 Oohhh... You're gonna be the star of the Red Carpet, for sure! Beautiful, beautiful you two are! 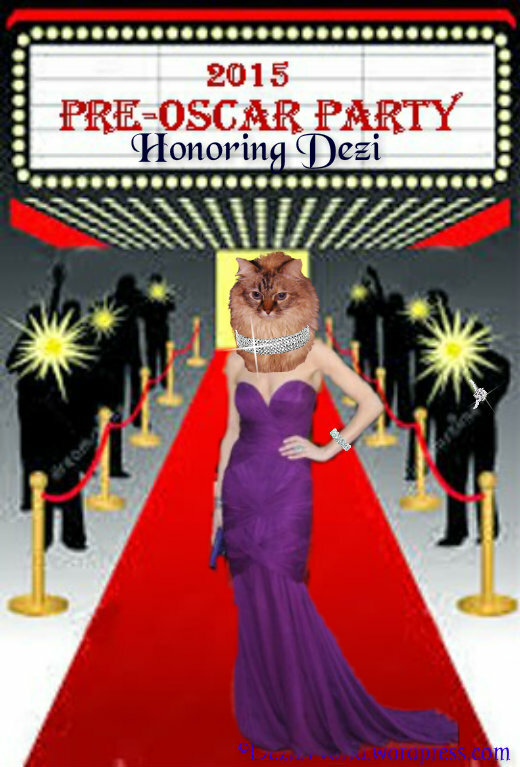 Wasn't the Oscar such a fun time?! 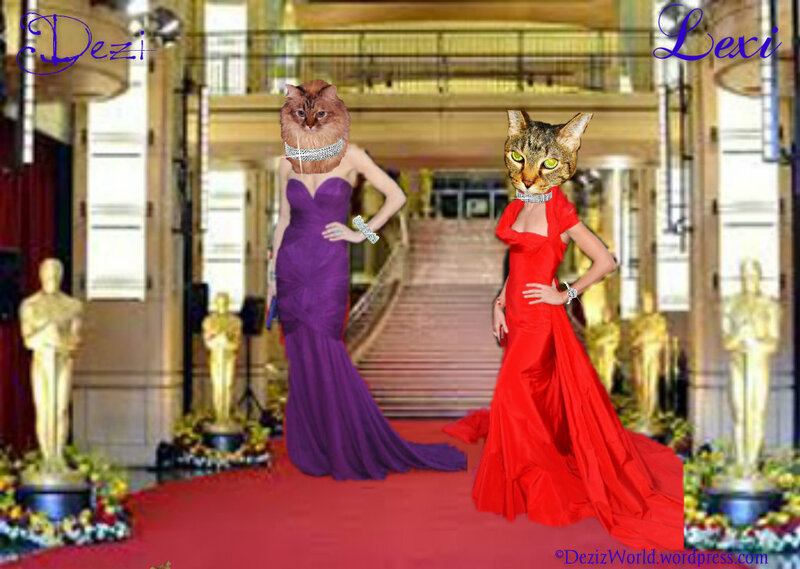 Gosh you ladies really do look FABULOUS at the Oscars! Happy Mardi Gras from Moosey! Happy Fat Tuesday! Happy Mardi Gras! Party Hardy at Mardi Gras! Laissez les bons temps rouler!!!!!!!! Did I Keep My Resolution? ?